“There are 12 that are open, two that are in the opening stage and six or eight that are in the licensing phase,” he said. “And they’re all across the city, in neighborhoods and industrial parks, all different models and business types. 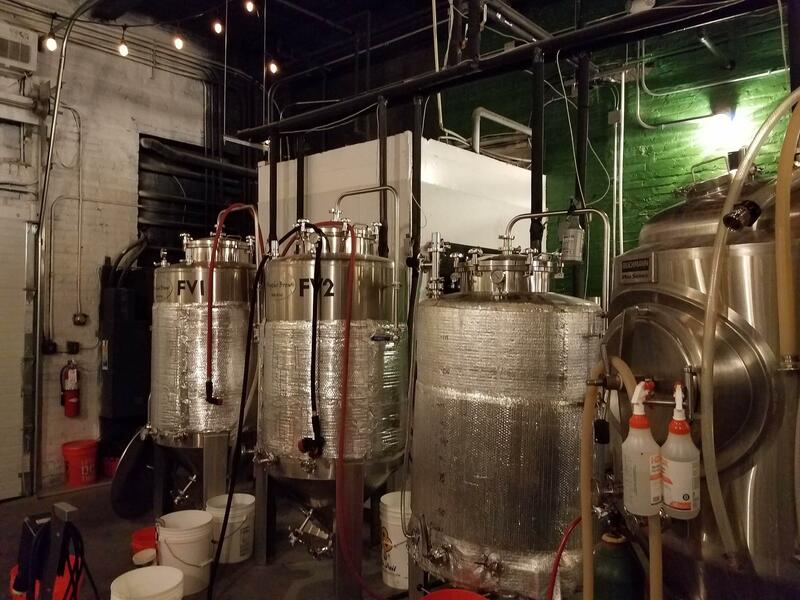 Eddie O’Keefe, of Peabody Heights Brewery on East 30th Street in Charles Village, says many of the new breweries try to fit into their neighborhoods. “If you come by on a Friday night it kind of looks like the living room of the neighborhood,” he explained. “We often welcome small families…We like to think of it as a community center with beer. And at least one of them--Nick Fertig’s just-opened Full Tilt Brewery on York Road--is dog-friendly. “We do have a big event coming up with BARCS (Baltimore Animal Rescue and Care Shelter) on March 30 where we’re going to do an adoption event and a dog toy supply drive,” Fertig said. The folks at Union Craft Brewing have taken over part of the old Sears distribution center on 41st Street in Medfield and Adam Benesche, one of the partners, says he has a vision for the rest of the property. Beer historian Maureen O’Prey, who’s written two books on the subject, says that neighborhoods that are suffering may want a craft brewery to move in. Many of the brewers have come up with names for their products that reflect the city or the region. Melissa Yukna, of Waverly Brewing in Hamden, says they named one of their beers for the Chesapeake Bay’s favorite mollusk and built a partnership with a food stand in the Mount Vernon Marketplace. “Local Oyster Stout is a beer,” she explained, with a unique and rare taste. “We have Local Oyster bring us their shells and some oysters, and they go into the kettle at the start of the beer-making process. O’Keefe’s Peabody Heights Brewery, sits on site of Orioles Park No. 5, where the team played from 1916-1944. Naturally, it gave him the name for one of his beers. “Old Oriole Park is probably our flagship beer,” he said. And they capitalize on their location as well. Yasmin Karimian, at the Suspended Brewing Company on Washington Boulevard in Pigtown, says craft breweries can even bring people back to the neighborhoods they grew up in. She calls the craft breweries one of the charms of Charm City. MLK Street Projects, Ben Keenes Brewery Tour stop in Baltimore, a Story from the Stoop and more.